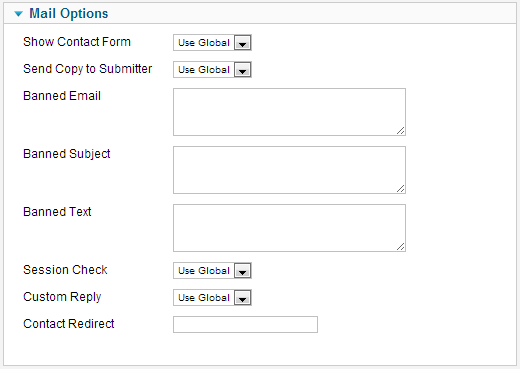 Click the Menu Item Type Select button and then click the List All Contact Categories link under Contacts. 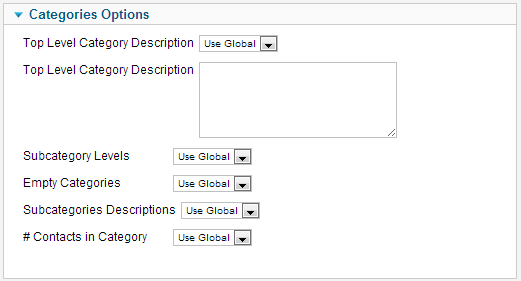 To edit an existing Contacts Categories Item, click its Title in Menu Manager: Menu Items. Used to show a list of all Contact Categories. 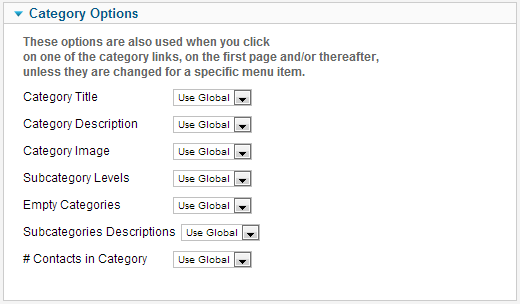 Select a Top Level Category. 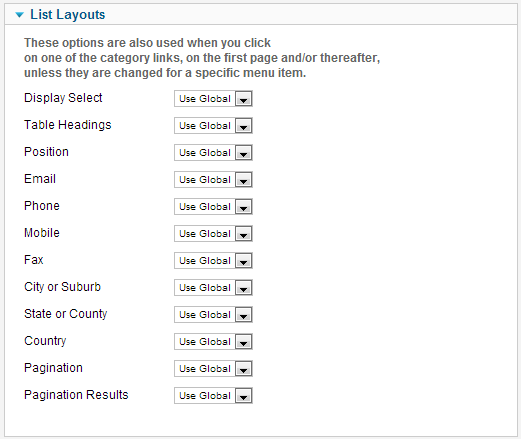 Shows a dropdown allowing the selection of any contact category. 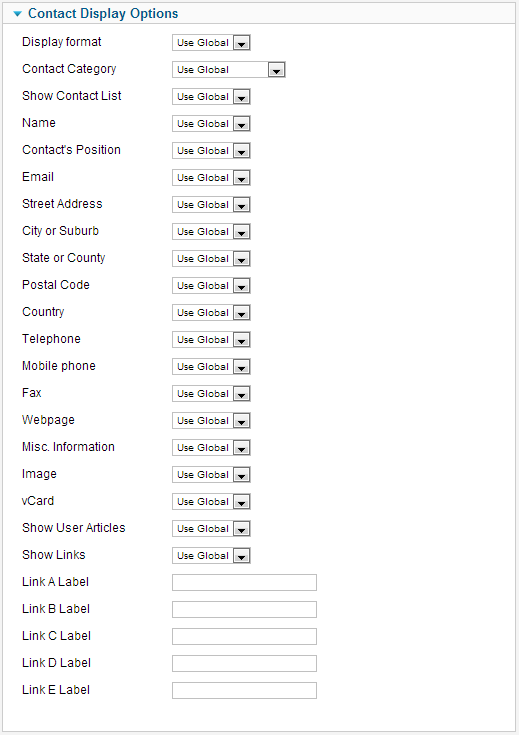 The Contact Categories is a convenient way to allow people to see contacts from a range of different categories on your website. This page was last modified on 11 March 2013, at 07:06.